Need a crowd-pleasing appetizer, a potluck dish, or just a family-friendly dinner? 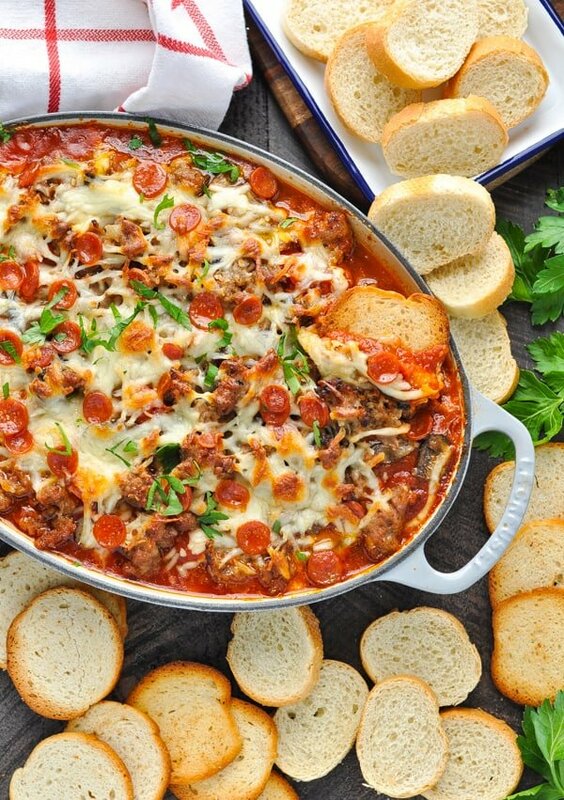 This Easy Pizza Dip recipe is the perfect solution! Need a crowd-pleasing appetizer, a potluck dish, or just a family-friendly dinner? 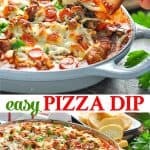 This Easy Pizza Dip recipe is the perfect solution! Whether you’re hosting a holiday party, a New Year’s Eve bash, or a Super Bowl get-together, this simple make-ahead appetizer is always a winner. After eating the left-overs for lunch at the office, Keith actually sent me an email with the following message: “Pizza Dip. The best recipe all year!” So, if that’s not convincing, I don’t know what is! It obviously got two-thumbs-up in our household. 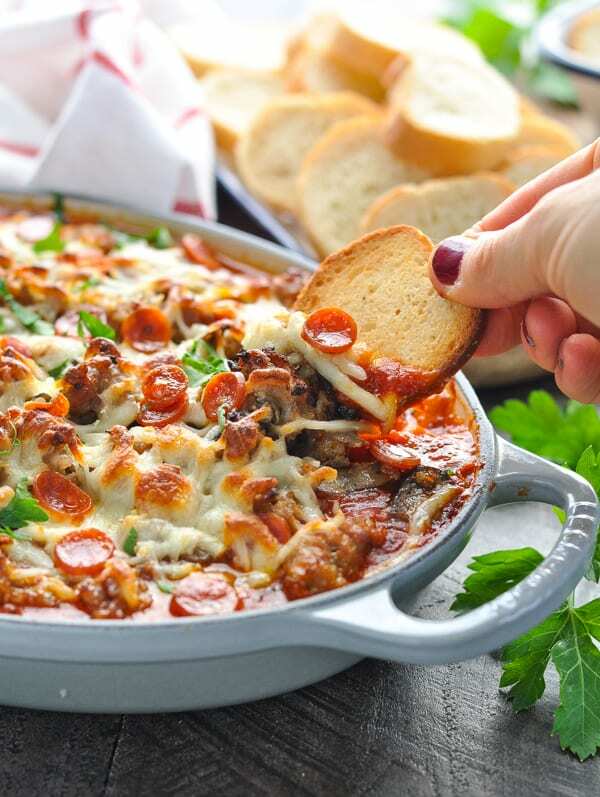 While this baked pizza dip is perfect for holiday parties, football parties, or New Year’s Eve snacking, the meaty dip eats like a meal — so you can serve it to your family for supper, too! It’s not just a party food! 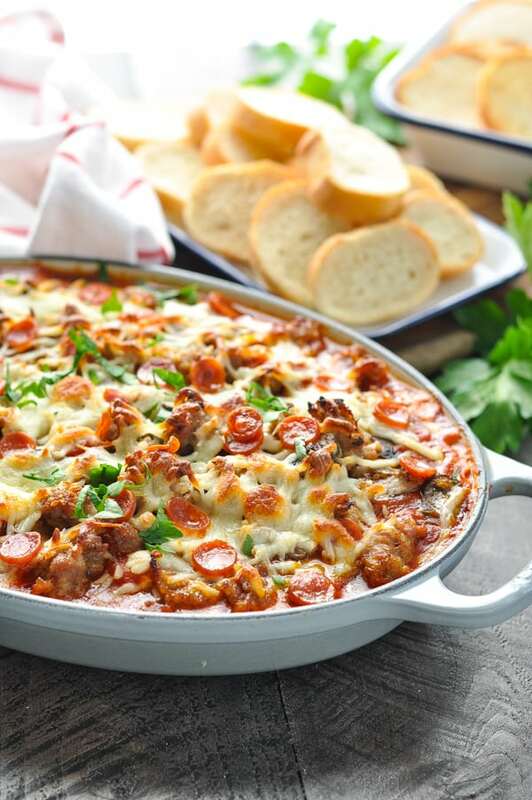 This is an easy layered pizza dip that is packed with hearty, flavorful ingredients. It’s basically like a casserole! Let’s start with the meat. 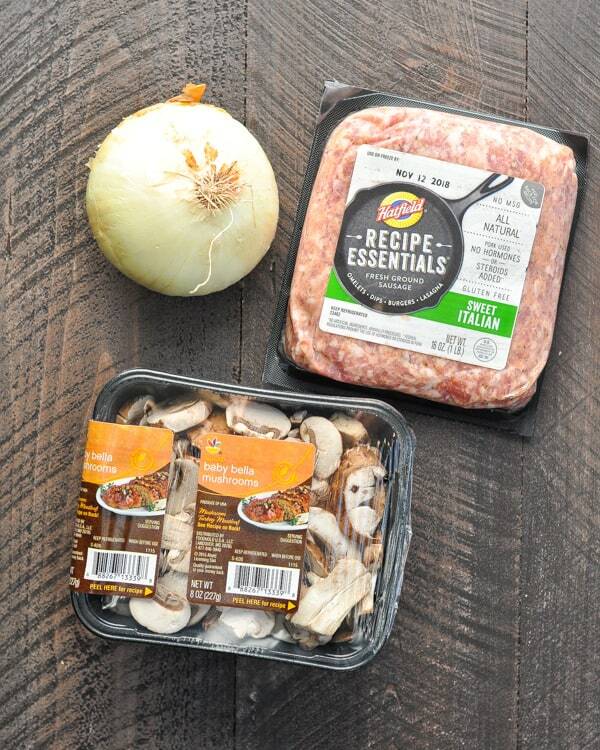 You’ll need sliced mushrooms, diced onion, and bulk Italian sausage. Brown the sausage in a skillet with the mushrooms and onion until no longer pink. Drain the fat from the pan and set aside. Now it’s time for the cheese portion of this pizza dip with cream cheese! You’ll need mozzarella cheese, Parmesan cheese, and softened cream cheese. Triple the cheese! and spread half of the cream cheese mixture in the bottom of a 2-quart baking dish. and top with half of the sausage mixture. Sprinkle pepperoni on top, and then repeat the layers again. Sprinkle the top of the casserole with the remaining mozzarella cheese, and add a few slices of pepperoni on top (if you like). 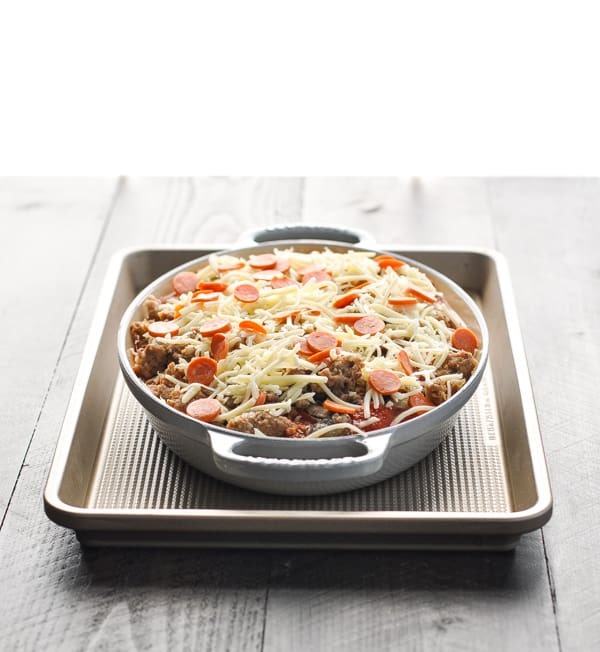 Place the baking dish on top of a baking sheet (for easy cleanup) in case any of the dip bubbles over. Then bake the pizza dip in a 400 degree F oven for about 20-30 minutes, or until the cheese is melted and the dip is hot. 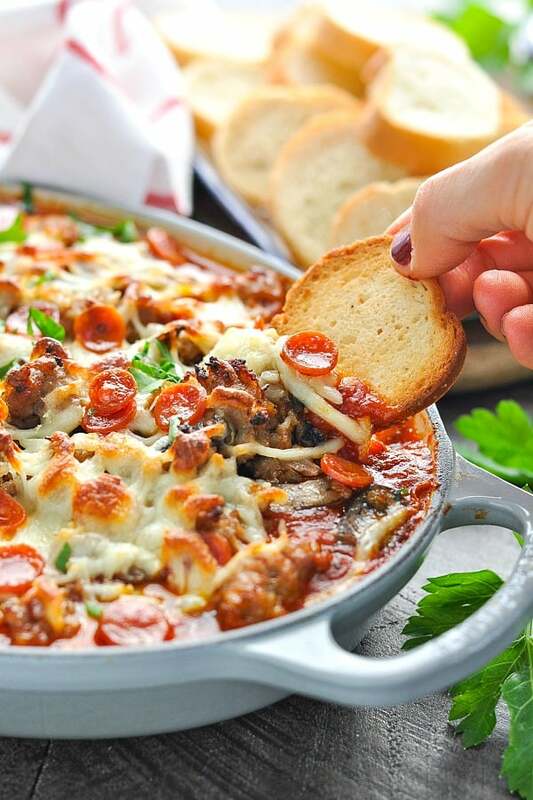 The layers of cheese will get nice and melty and gooey, making this pizza dip recipe perfect for scooping! 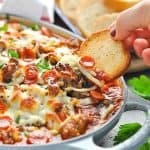 You can either set this pizza dip out on a counter and let your party guests serve themselves, or you can spoon out individual portions onto a plate or bowl for dinner! Again, it’s a lot like a pizza casserole, so it totally works as an entree. We like to serve the pizza dip with sliced baguette rounds, with bagel chips, or with pita chips. Can you freeze Pizza Dip? Yes! You can freeze the assembled pizza dip before baking. If you have leftover pizza dip that you would like to freeze after baking, that will work as well. The quality of the frozen dip may not be as high as when it was fresh, but can safely store it for a few months. The higher the fat content in the dip, the better it will freeze. 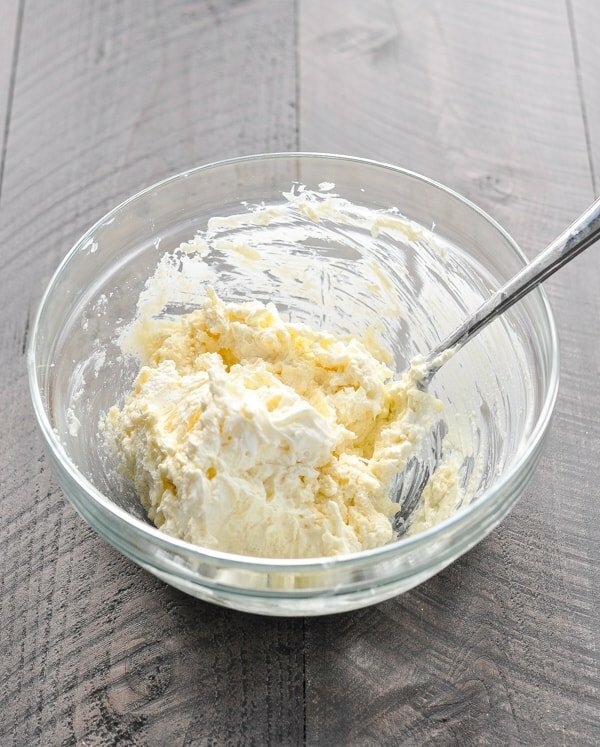 A full-fat cream cheese dip is less likely to separate after freezing. For convenience, look for bulk Italian sausage. This way you don’t have to remove the casings from the sausage on your own! 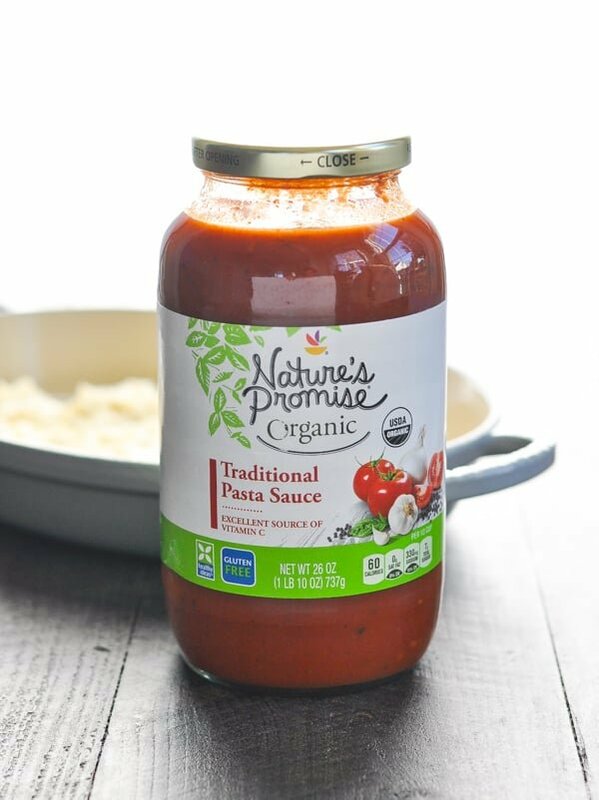 I used Sweet Italian Sausage, but you can substitute with Hot Italian Sausage for a spicy dip. 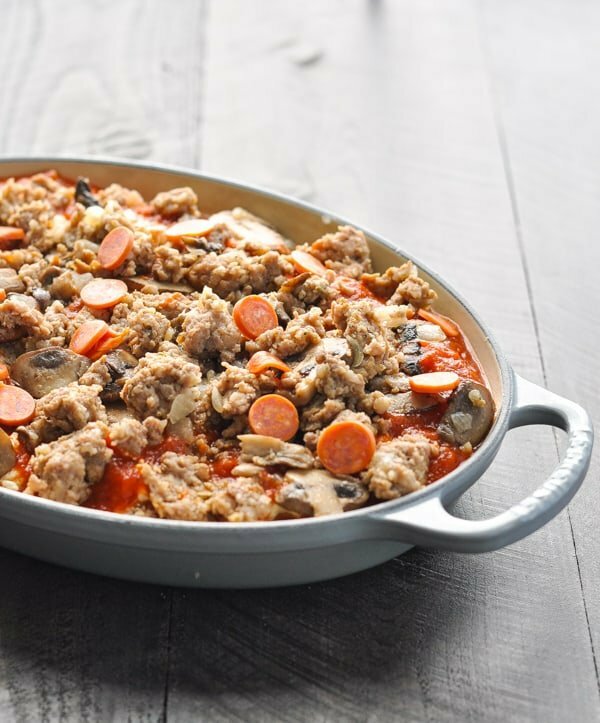 You can also use turkey Italian sausage if you prefer. For another shortcut, look for a container of sliced mushrooms and use frozen pre-diced onion. You won’t even have to pull out your cutting board! I prefer mini pepperoni, since I don’t have to chop it before adding it to the dip. 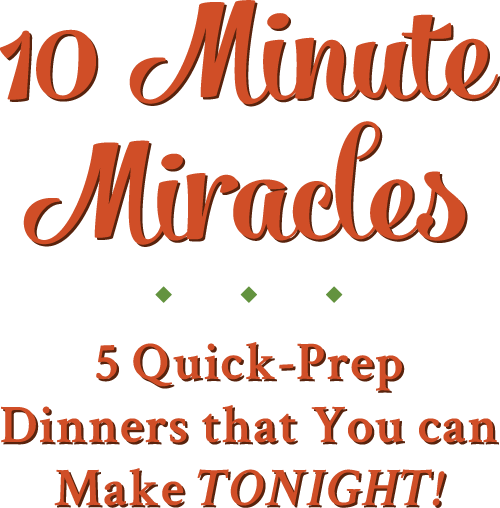 You can substitute with chopped pepperoni or turkey pepperoni as well. 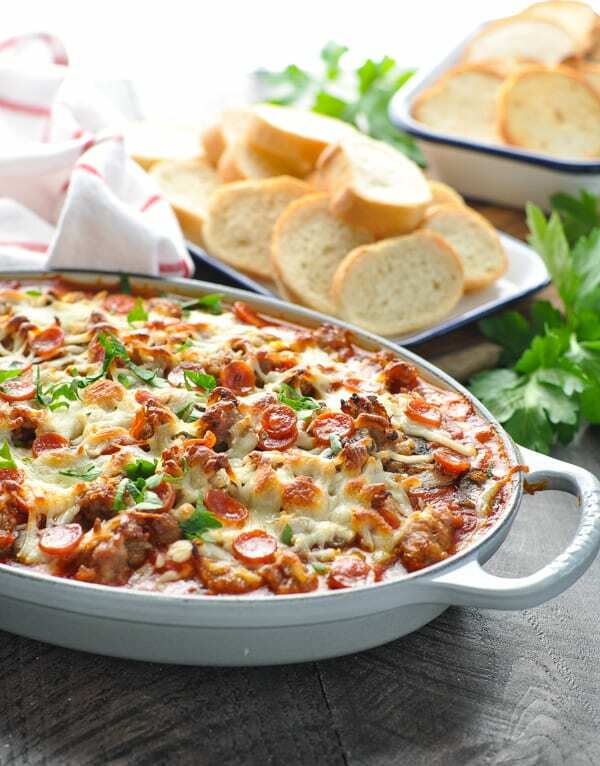 Bake the pizza dip appetizer on top of a baking sheet in case any bubbles over! It makes cleanup easy! Prep ahead! 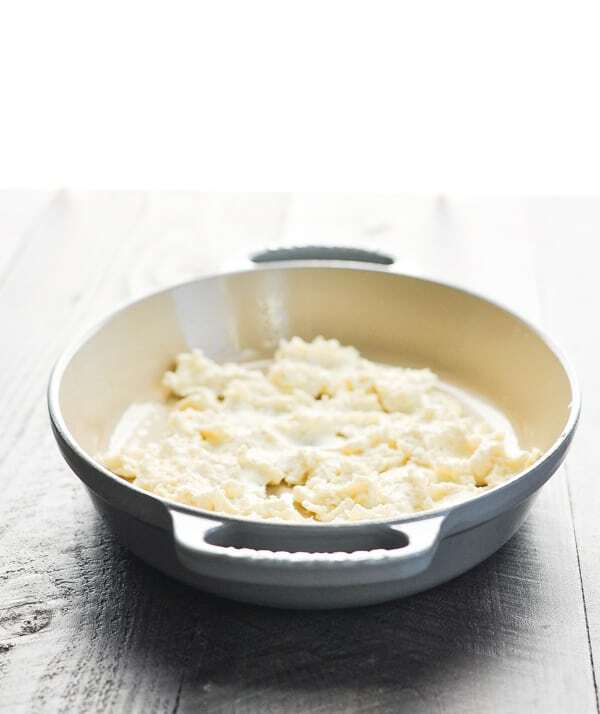 You can assemble the dip in advance and keep it covered in the refrigerator until you’re ready to bake it for your party! Preheat oven to 400 degrees F. Spray a 2-quart baking dish with cooking spray and set aside. 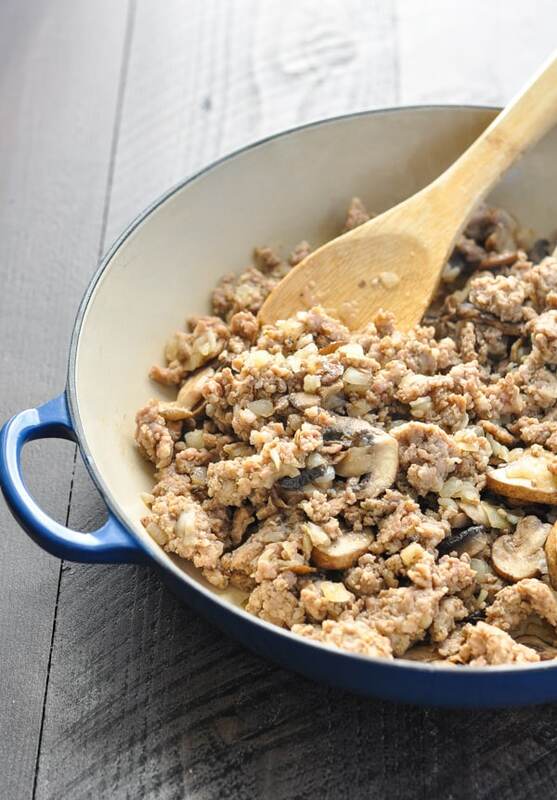 In a large skillet, brown sausage, mushrooms, and onion over medium-high heat until no longer pink. Drain. 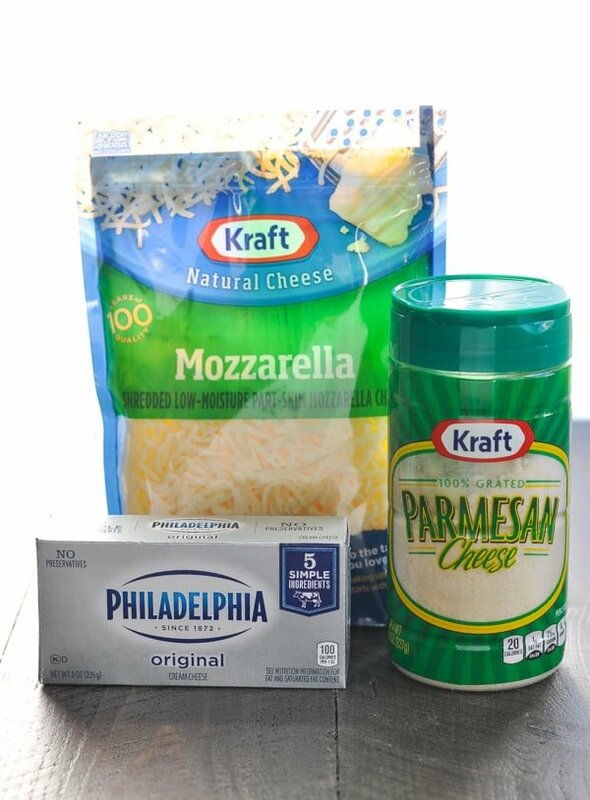 In a medium bowl, combine cream cheese, Parmesan, and 1 cup mozzarella. 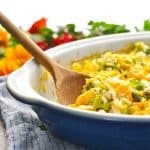 Spread ½ of the cheese mixture onto the bottom of the prepared baking dish. Top first layer of cream cheese with ½ of the marinara sauce. 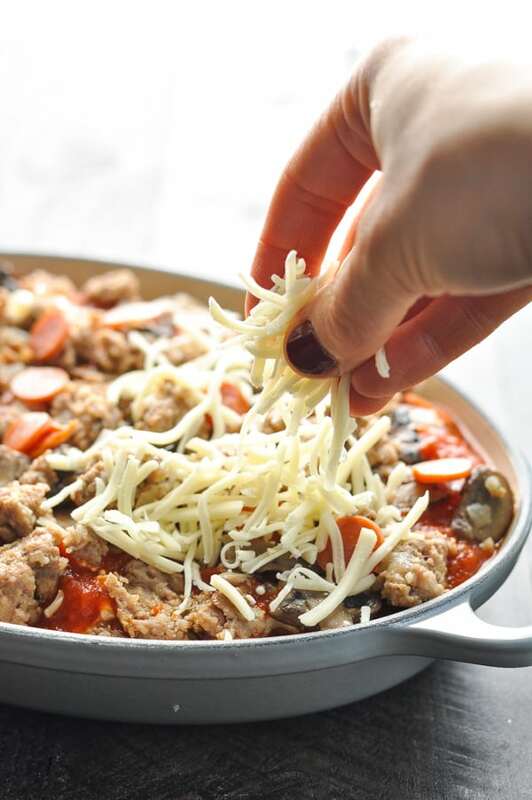 Top the marinara with ½ of the sausage mixture. Sprinkle ½ of the pepperoni on top. Top with an additional 1 cup of mozzarella and additional pepperoni, if desired. 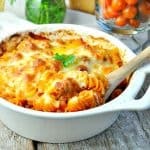 Bake for 20-30 minutes or until cheese is melted and bubbly. For convenience, look for bulk Italian sausage. This way you don't have to remove the casings from the sausage on your own! For another shortcut, look for a container of sliced mushrooms and use frozen pre-diced onion. You won't even have to pull out your cutting board! I prefer mini pepperoni, since I don't have to chop it before adding it to the dip. You can substitute with chopped pepperoni or turkey pepperoni as well. Prep ahead! 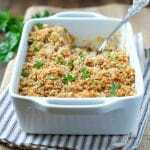 You can assemble the dip in advance and keep it covered in the refrigerator until you're ready to bake it for your party! 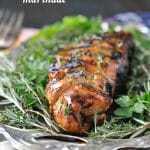 This recipe was originally published in February, 2013. It was updated in December, 2018. Looks awesome and I bet it tastes even better!!! Big hugs to you and boys. I’m a big fan of the seasoned mom. Keep up the good work. Thanks, Fred! It definitely tastes even better than it looks. 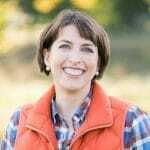 🙂 Thanks for reading — I’m so glad that you can keep up with what we’re doing! I believe that I would be very excited to try the pizza dip 🙂 That would be incredible if you made some for our party on March 9th. That looks delicious! I’m definitely going to try it in the next couple weeks. Thank you for sharing it. Can I ask the brand of the blue pan that you cooked it in? So pretty.